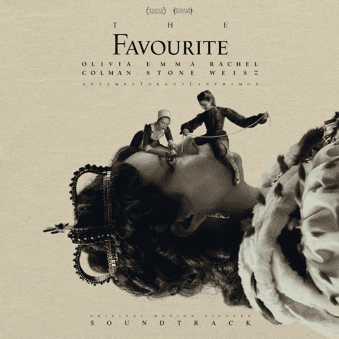 14 January 2019 (Toronto, ON) - Decca Records/Universal Music Canada, the country’s leading music company, is proud to release the official soundtrack to the hotly-anticipated dark, historical comedy The Favourite. The soundtrack, which is available digitally from 7th January, features a selection of classical works which range from the Baroque era to modern day – with music by Bach, Handel and Vivaldi appearing alongside pieces by Anna Meredith and Elton John. Written by Deborah Davis, Tony McNamara and directed by Yorgos Lanthimos (The Lobster, Dogtooth), The Favourite stars award winning cast Olivia Colman (The Crown), Emma Stone (La La Land, Crazy Stupid Love) and Rachel Weisz (Disobedience, The Lobster) and has already gained critical acclaim with 14 Critics’ Choice nominations and Golden Globe® success for Olivia Colman, who scooped the prize for Best Leading Actress. The Favourite also won a record-breaking 10 prizes at the British Independent Film Awards. Set in early 18th century England, a frail Queen Anne (Colman) occupies the throne and her close friend Lady Sarah (Weisz) governs the country in her stead. When a new servant Abigail (Stone) arrives, her charm endears her to Sarah. What follows is a gripping, underhanded competition between Sarah and Abigail to win Queen Anne’s favour. The Favourite’s playful, twisted themes are brought to life through the timeless collection of music, set against the backdrop of this eccentric, royal drama.